Cattle graze in Putnam County. Beef is West Virginia’s second largest agricultural industry behind poultry. The West Virginia Department of Agriculture will host its annual Beef-for-Fathers’-Day event June 8 from 11 a.m. to 1 p.m. at the Capitol Market in Charleston. 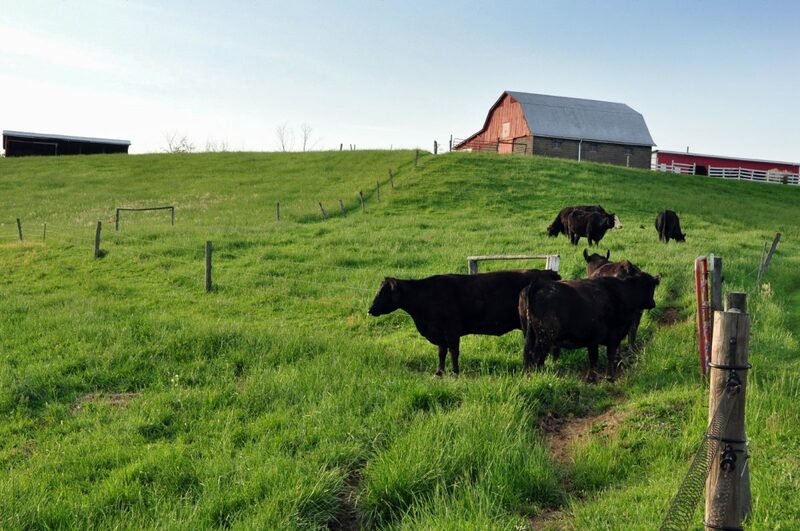 The event will showcase the best of what the beef industry in West Virginia has to offer, according to Kent Leonhardt, commissioner of the department, who lauds cattle farmers for their work. “Beef is our second largest agricultural industry behind poultry. Our cattle farmers bring in millions of dollars every year to the Mountain State,” Leonhardt said. The agenda for the event includes comments from local officials, the West Virginia Beef Council and the West Virginia Beef Queen. West Virginia is the 38th largest beef producing state in the nation, grossing $217,411,000 in 2016, according to department statistics. Samples of beef will be available at the event, which is free and open to the public.